Modern games have a somewhat natural life-cycle where they initially emerge, sink back down, float back up for a sale, and repeat thanks to digital marketplaces. The boxed copies of a title will usually shuffle about in retail for a good year or so after initial release, but it's the digital side of things that tends to keep a title going. 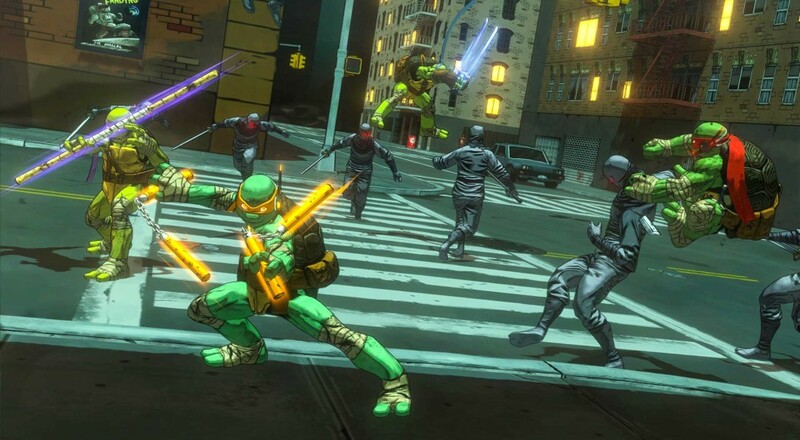 As of today, the digital life for Teenage Mutant Ninja Turtles: Mutants in Manhattan is at an end. The game has been removed from all digital service platforms where it was previously available for sale. This means you can no longer find it on Steam, Xbox Marketplace, or the PlayStation Store. Boxed copies are still available via places like Amazon, so you can get it there if you're looking to pick it up. If you have previously purchased the game digitally, don't worry, you can still play it and download it again. This news comes alongside word that the digital versions of The Amazing Spider-Man and its sequel have also been pulled from all digital marketplaces. Chances are good that in all cases, the issue comes down to licensing deals, which are murky at best. Either Activision decided that it no longer wanted to pay whoever owns the license for these IPs, or the parties that own the respective licenses for Spider-Man and TMNT didn't want Activision to make anymore games featuring those characters. Considering none of the titles mentioned here were particularly fruitful for Activision, and with end of the year budget stuff on the way, the former case seems more likely. Page created in 1.4494 seconds.